We recognize the importance of a good styling kit. Especially when traveling for a destination event, you never know the kind of wardrobe malfunctions you could run into, and there’s no better feeling than being prepared! Keep reading for the 10 things you should always take with you when leaving town—and may we suggest immediately placing them in your travel bag for your next trip? When you’re done reading, of course. 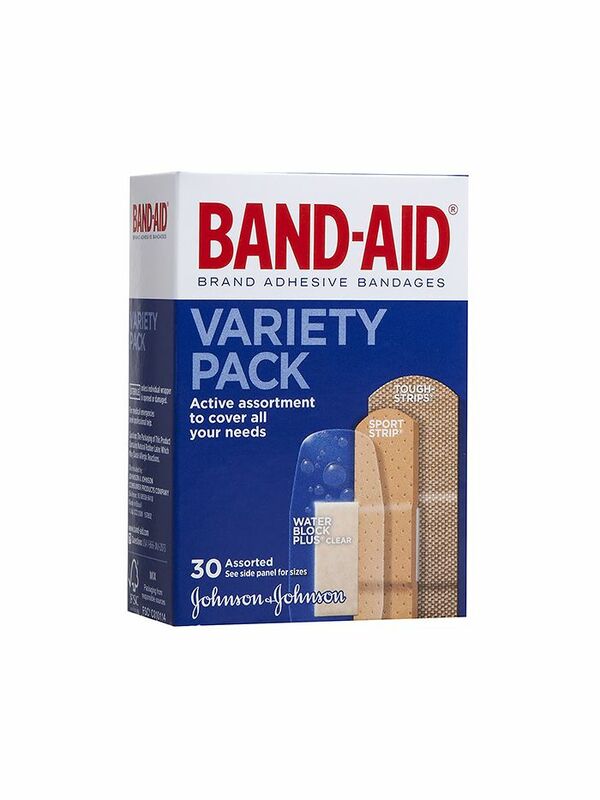 Band-Aids can make you forget about the pain of your uncomfortable shoes (at least until you get to your hotel room), ensuring you don’t have to cut your precious vacation nights short. Leave some in your purse and always apply at the first sign of discomfort. We also like the brand’s Active Friction Block Stick ($6) for a subtle type of foot protection. Wearing a backless dress or anything that won’t allow for a bra? Low beams will keep you covered. You don’t want to run out of these. Trust us. A barely-there sandal goes with everything, and in the event of a shoe-mergency, you’ll be glad you brought them. Also, even your most comfortable shoes can become a pain the second or third night wearing them, and you’ll want an alternative option if your trip is for more than a weekend. Lint on your clothes makes you look sloppy, and when it can be so easily removed—why tolerate it? At home, a back-up dress is easy to come by—you have dozens in your closet—but when traveling for an event, you probably only have room for one. Choose a simple, lightweight version that you can dress up or down with accessories, just in case one of your outfit doesn’t work out as planned. Can you imagine having to attend a wedding ceremony in jorts? Let’s be real: our bodies do weird things when we travel, including bloating and un-bloating. It’s not the best news for shoes, which can easily stretch, so have a few heel inserts handy because walking gracefully in shoes that are too big is pretty much impossible. Even if you don’t know how to sew on a missing button or fix a falling hemline, odds are someone in your group will, and you’ll be glad you have the sewing kit to do it with. No one wants their clothes clinging to their body—not in a warm, tropical climate and especially not after repeated mornings spent indulging at your hotel’s breakfast buffet. Even if you’ve worn an outfit countless times in the past, you never know when you’re going to need a piece of double-sided tape. Keep a few strips with you wherever you go.